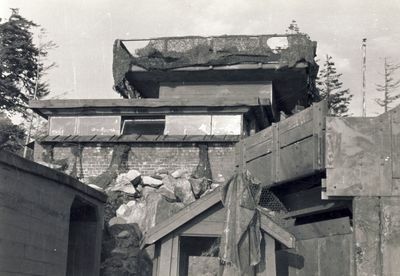 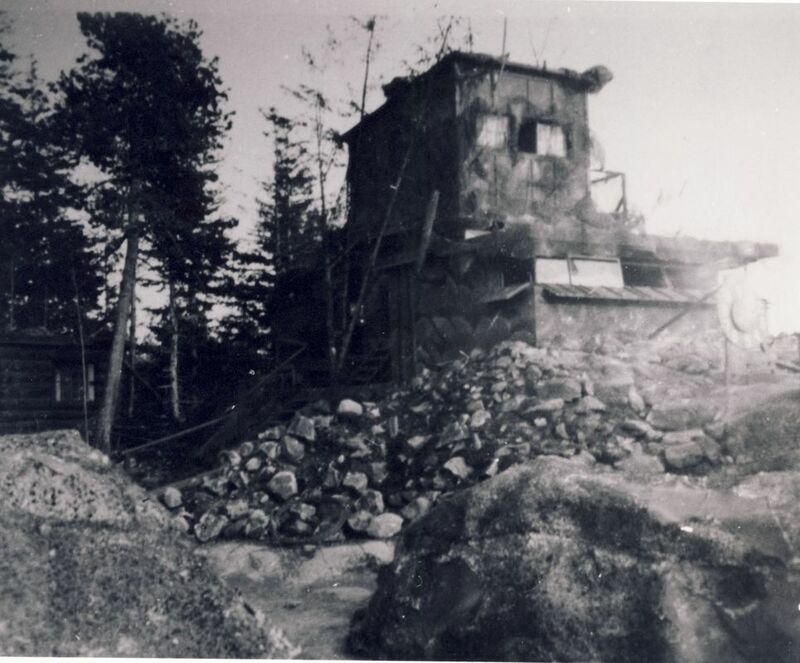 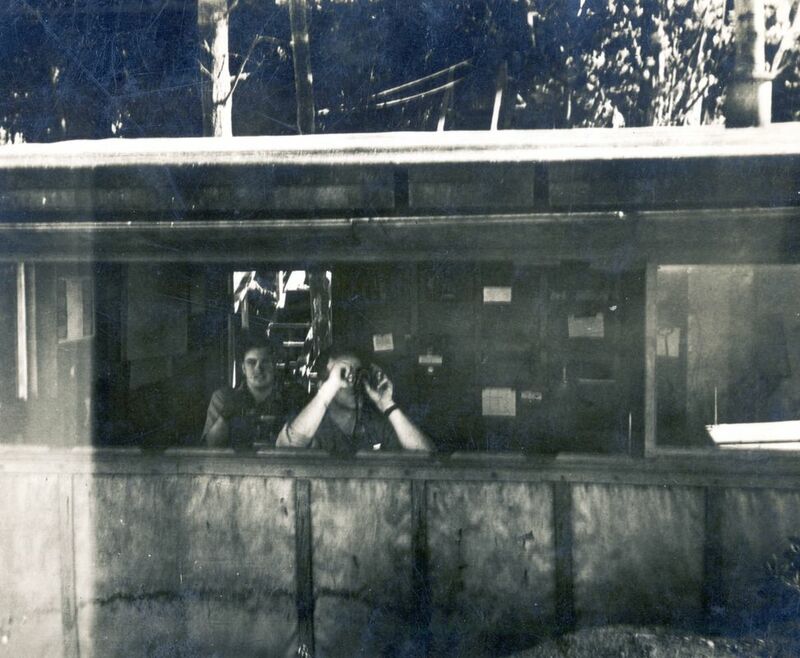 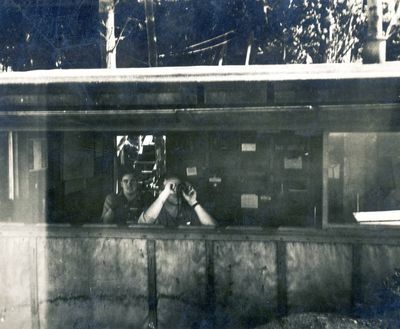 The Battery Observation Post on Yorke Island went through considerable modifications during the Second World War. 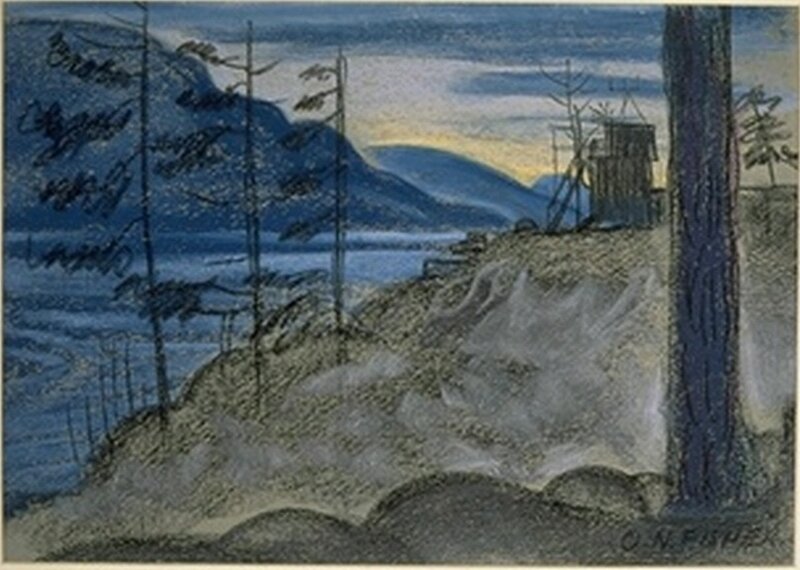 The first gallery are views of the BOP between 1939 and 1942. 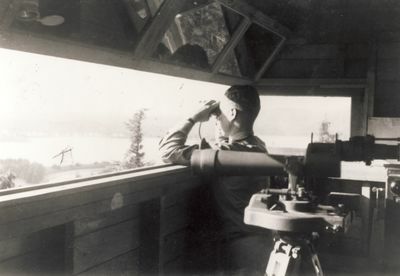 Bottom part of OP was signals watch, top used by DRF crew. 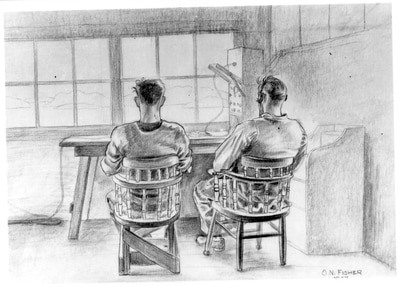 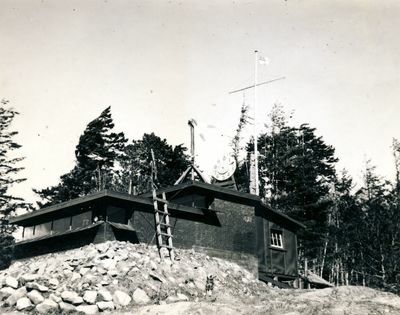 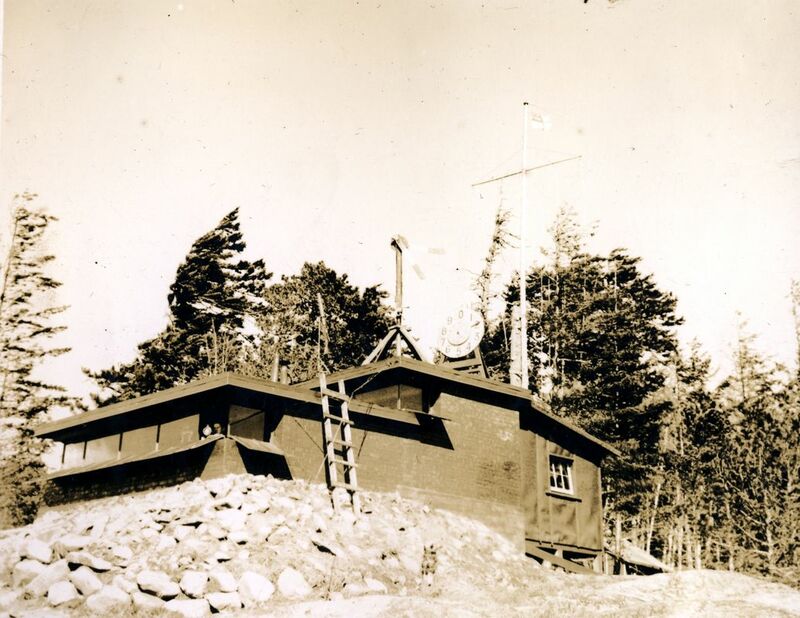 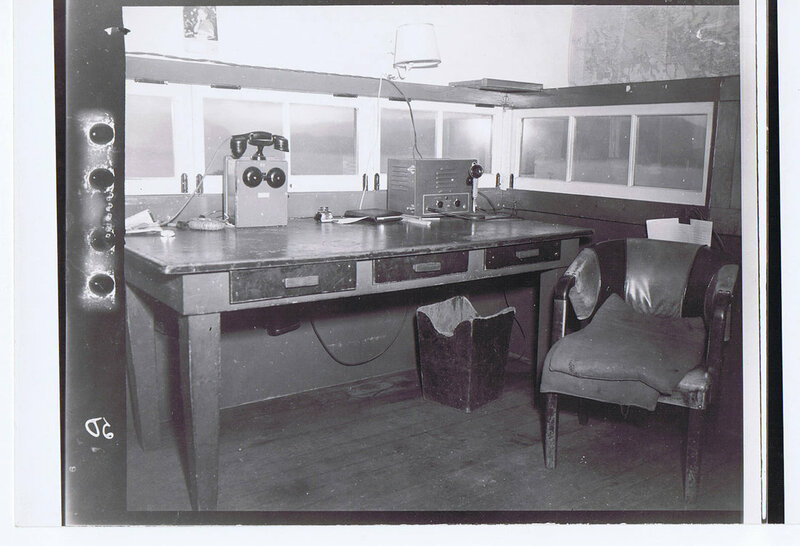 Single yardarm & Officers' shack added in 1941. 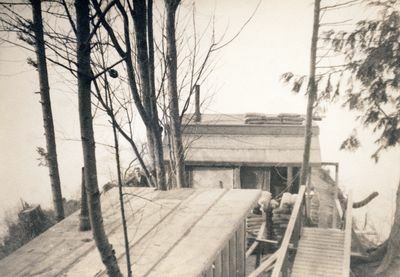 O'Pip from rear. 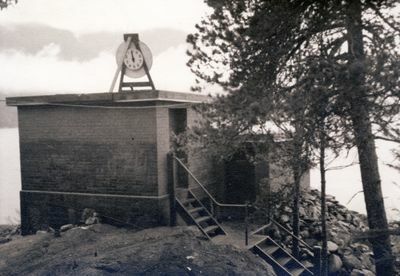 Emergency range dial on roof. 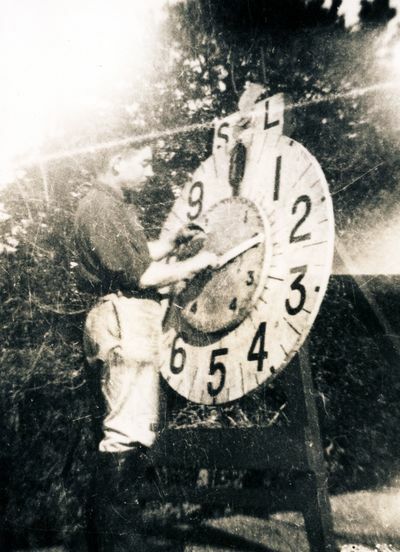 Soldier with emergency range dial. 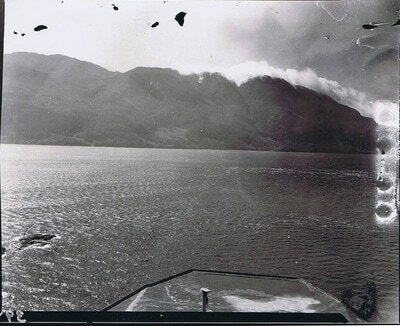 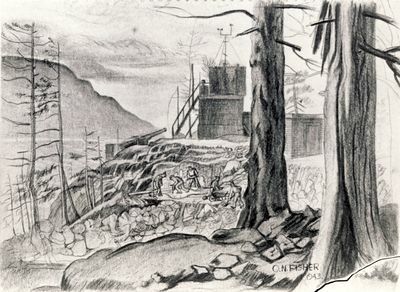 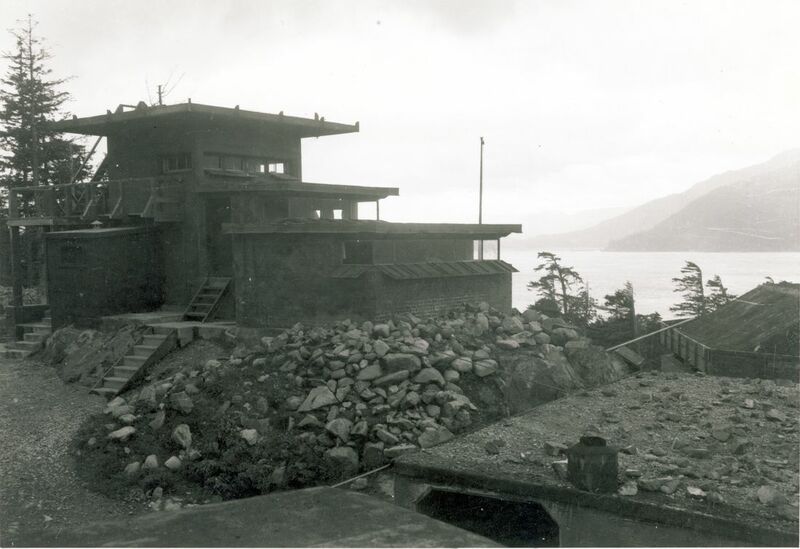 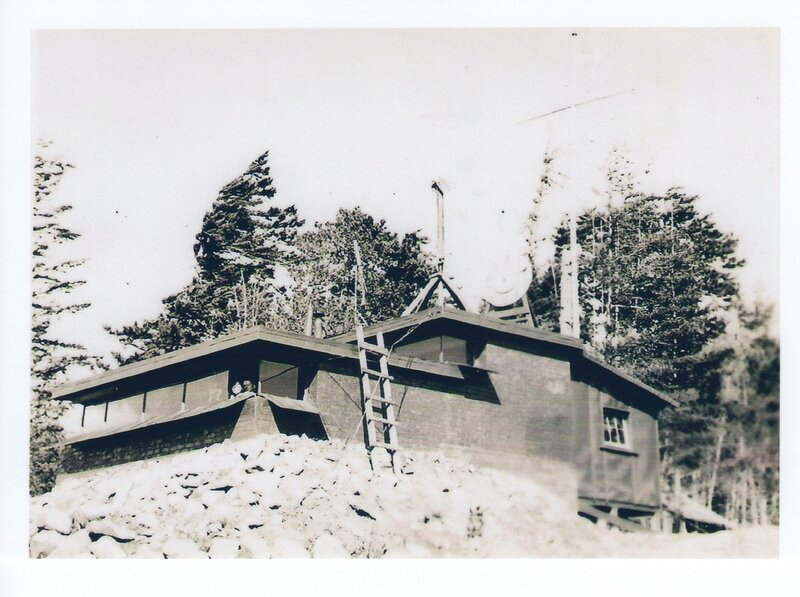 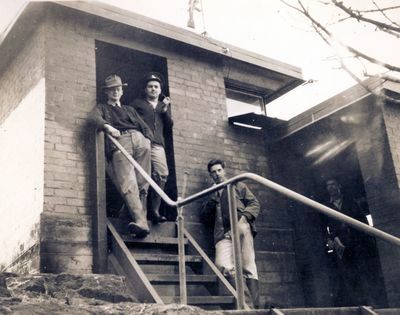 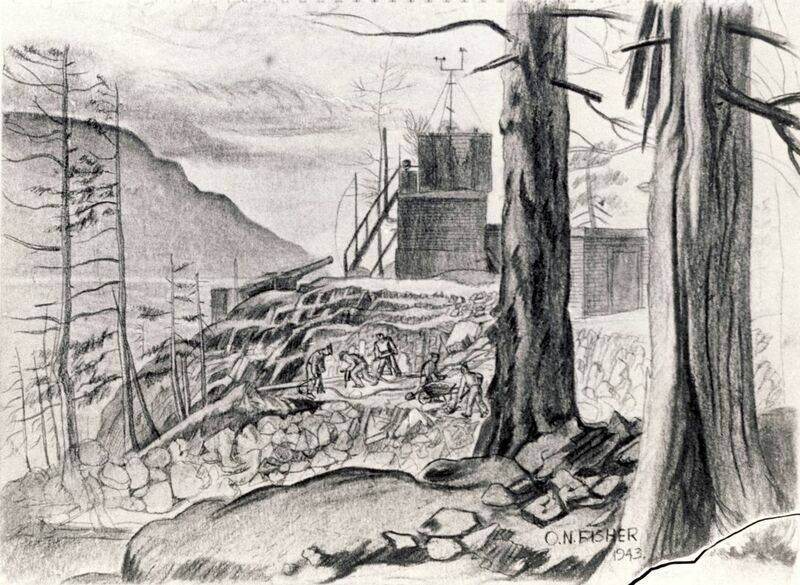 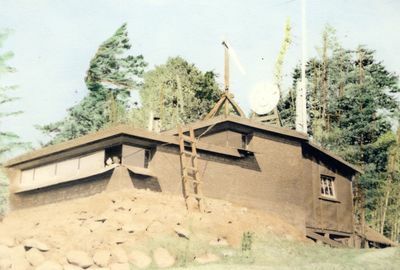 The following photos reflect the Battery Observation with the addition of a third level sometime in 1942. The following photo is undated.